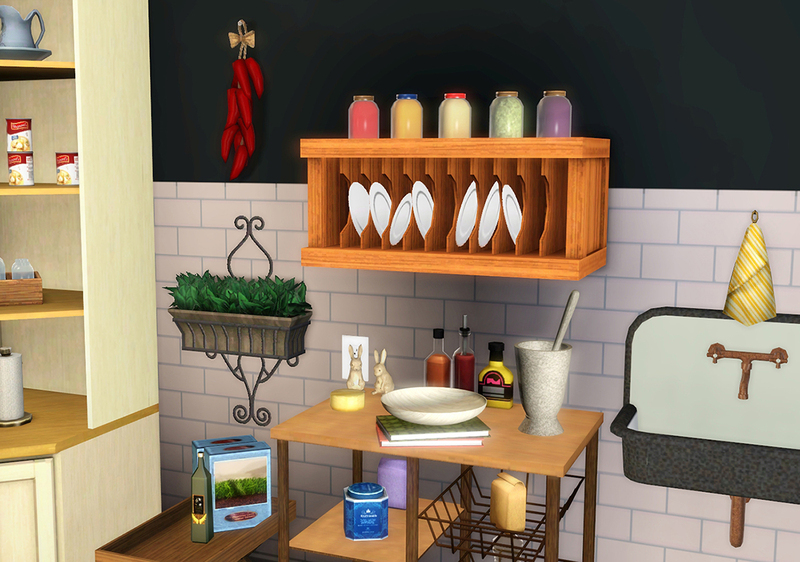 This is a mod for the Overachieving Plate Rack from the Sims 3 Store. It adds 5 decorative slots to the top of the rack (so that it can be used as a shelf), allows the rack to be moved up/down, and adds the rack to the Function -> Surfaces -> Display category. The original EA object is a decorative sculpture that cannot be moved vertically on walls. The Store plate rack must be installed for this mod to work. This mod is an override and does not include the object itself. 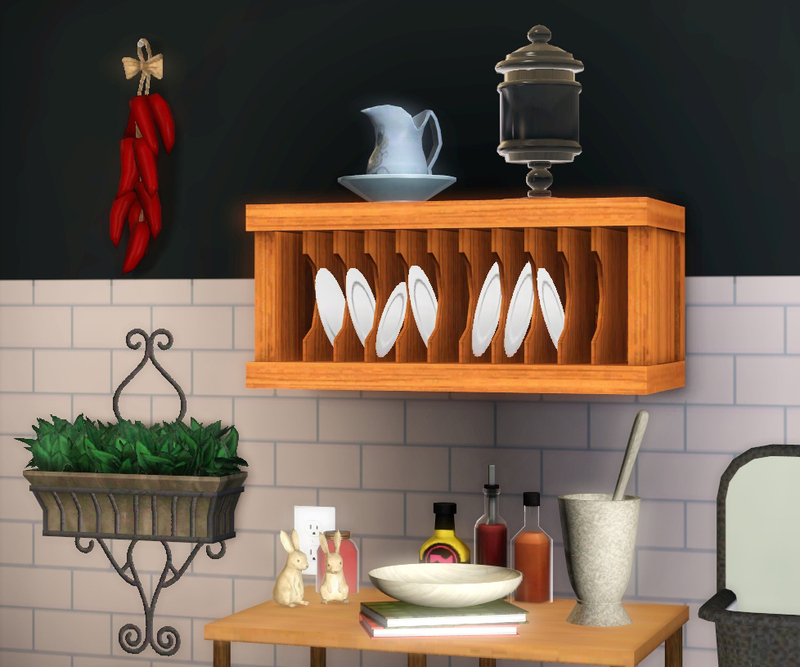 The Overachieving Plate Rack can be obtained alone or as part of the Bayside Kitchen Set or the Full Bayside Set. If the Overachieving Plate Rack was installed via the Launcher as a .sims3pack: unpack the mod as usual into Mods/Packages folder. 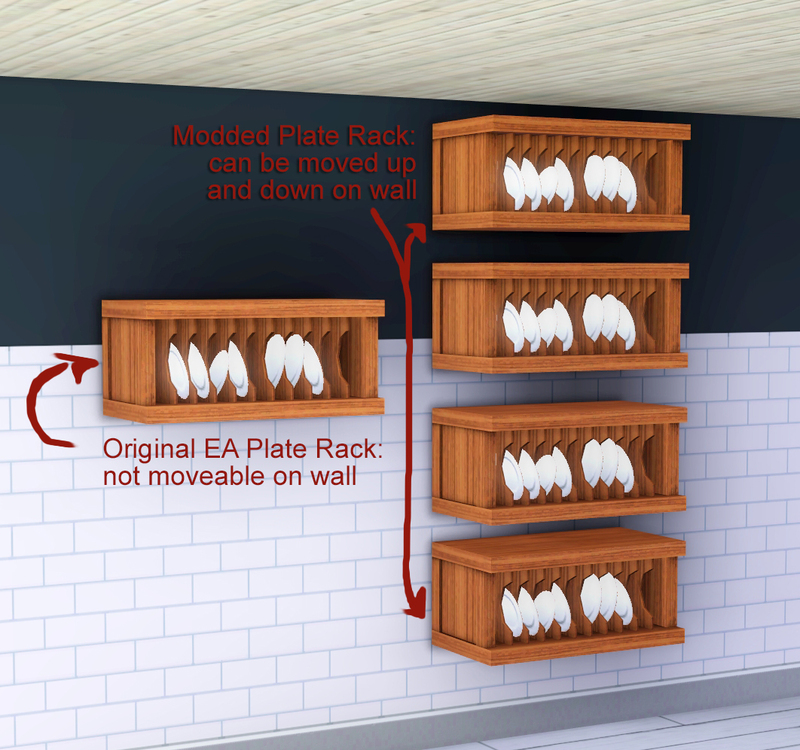 If the Overachieving Plate Rack was installed as a .package: unpack the mod into Mods/Overrides folder. May be included with lots without restriction or credit. 3. If the Overachieving Plate Rack was installed via the Launcher as a .sims3pack: unpack the mod as usual into Mods/Packages folder.